Discussion in 'Forza Horizon 4' started by GTPNewsWire, Sep 25, 2018. 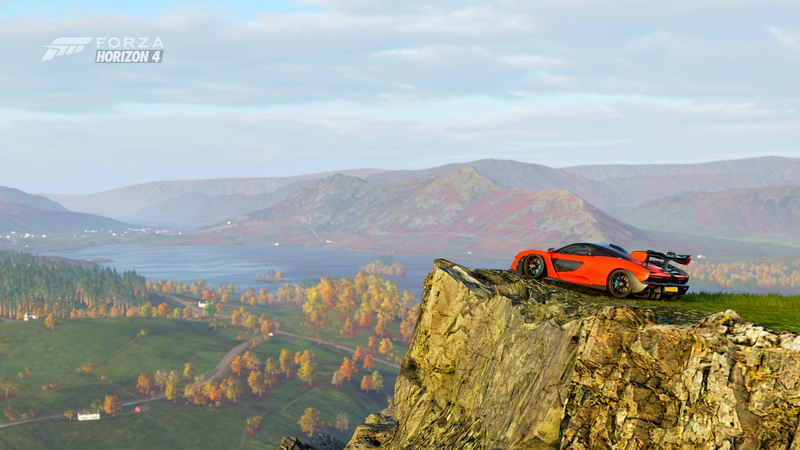 This article was published by Kyle Patrick (@SlipZtrEm) on September 25th, 2018 in the Forza Horizon 4 category. marcvic, neddyie118, KiroKai and 8 others like this. I’m not surprised you gave it such a high score after watching you stream it over the weekend. I could swear I watched you discover the rock promontory in your picture on that @SlipZtrEm stream a couple nights ago. I have a love hate relationship with forza so im unsure if I'll get this one, im just not a fan of the way they do physics. Guess ill download the demo before taking the plunge on it. I too am curious where they go from here. I suspect Mars. Combine them. Japan with a Mars expansion. Dresden, MockngBrd and ImaRobot like this. All these goodies and we still don't know how good the Route Creator will turn out. They really learned how to make a Great Game. After the fiasco with Toyota and Mitsu? No way. They will go to Hawaii so people will stop crying after TDU2. Cloudy, Salty66 and Populuxe Cowboy like this. Only to shake your hand and agree with you. VXR, Cloudy and turk1993 like this. So Horizon 5 is Far Cry 5 then? That cover photo made me think of "Liz on Top of the World"
Outraged this isn't a 5 star review. I mean it has Scotland in it?! Great review and obviously a great game, I'll have to try and play with some GTP folks if timezones align. Not shure witch mode i going to use that 4k looked sooooo nice!!! "Rolls-Royce may not matter to some, but considering the UK setting, it does sting to see the epitome of British waftiness absent." TokoTurismo, Maxrevv, Bethany Dawn and 12 others like this. The game looks very good but I cannot disagree more with regards to the sounds. One of the major flaws, I've seen multiple youtube videos, and the sounds are overly exagerated and aggressive, like muscle cars on steroids. Most cars sound exactly the same too. It can be a blackmail to Toyota/Mitsubishi : you don't want your cars in Forza ??? OK, we go to a Forza in Japan with Nissan & Honda in gueststar !!! Fantastic review. I'm glad I held off the demo this time, I can't wait to see it all on Friday. My Ultimate Edition arrives friday. The only real issue i have with this game are the stupid drivatar dance emotes. Looks like they went all Fortnite with this one and that is a terrible thing in a racing game. Forza 7 was all about “who wears the most absurd, ugly racing suit?“ FH4 will be all about “look at my stupid victory dance“. I saw the review video by Gamespot and those dance emotes are propably the most horrible thing i have seen in a while. ron24 and ImaRobot like this. Reading the review I was surprised at the overall rating... 8/10? The review read a lot closer to a 9/10... I know it's nitpicky but 4.5 Stars would have been more appropriate after reading such a glowing review. That’s actually an oversight on my part; there was a miscalculation. The average of the categories was 4.3, so that should be a half star with the rounding. It’s now fixed! KingK76, VXR and Populuxe Cowboy like this. Another example of why scoring doesn't matter anymore. As you said, the review was clearly a glowing one to anyone who actually read it. Why place arbitrary numbers on things? I think its very positive, but not glowing. I guess the reviewer liked it very much, but didnt love it in an enthusiastic way. Sometimes its hard to get overly excited and give out the highest possible score when you get that “been there, done that“ feeling. Maybe he felt that. Personally, i liked FH2 more than FH3, there is no obvious reason for this, just a matter of personal taste. I have not purchased a Forza game since FM3 (although I did play FM6 Apex for a few months), but I'm definitely picking this one up when it goes on sale for PC. The location and seasons has me sold. The car roster doesn't hurt either. I'm sorry, but a Japan set game isn't happening without Toyota any time soon. Lol... great job on the review. It was excellent!